Governments like to tell us how well the country’s doing. Our future prime minister, Mr Brown, has been particularly adept at it. But bare, hypothetical economics often disguises real hardships. For instance, while luxury goods such as clothes in fashionable high street shops, DVDs and electrical goods continue to fall in price, food and energy costs rise. This means the elderly and vulnerable suffer most, with inflation on essentials running three times as high as the national figure. It is not exactly what we would expect after 10 years of a Labour Government. However, politicians don’t see any concerns about cash when it comes to spending between £25bn and £70bn on the new range of intercontinental ballistic missiles to replace Trident. There was, it was mooted last year, going to be a consultation on the decision but it’s most likely you’ll have missed it. And when the crunch comes, the Blair babes and blokes – jaded though they now might be– will stand in line and wave it through. Not surprising then that a sense of helplessness overtook protesters at Faslane in Scotland earlier this month when a number were arrested for blockading the weapons base. Among those carted off were Jill Evans MEP and AM Leanne Wood. The demo featured elected members from Westminster, Scottish, Welsh, Dutch and European parliaments, and local councils. In lieu of real and meaningful consultation this is what it naturally comes to: protest. There is, after all, a cowardly aspect to the way many politicians fail to recognize any alternative to the Trident replacement. They live in fear of a public they believe will turn on a government which supposedly leaves it defenceless. This is at the heart of the nuclear obsession. And so we will take on some system designed to destroy the centres of Prague, St Petersburg and Bucharest – work now done at weekends by stag and hen parties. We will also be told that Britain must remain strong – when true strength would be to lead the way in disarmament, not to puff out our chests, beef up our muscles further, and act again like the agitator rather than the peacemaker. Rhondda MP Chris Bryant was among the first to slag off Evans and Wood for their protest. As we know the backing never came; the war did. Almost all MPs responded with few sitting on the fence. And Chris Bryant? Well, his response was priceless. He’s the one who is not taking the real issues seriously. Bob Peters learnt his politics from conviction. Growing up in the 1920s, he couldn’t find work in his hometown, Penarth. With his mother struggling to make ends meet – she was alone with nine kids – the Salvation Army stepped in to train him for a trade. Aged 16, he sailed for Canada. There, as a deckhand on the cargo ships of the Great Lakes, he worked hard for union recognition, a battle that sparked a political fire inside him. Within a short time he was in Spain, fighting against General Franco’s Hitler-backed forces. 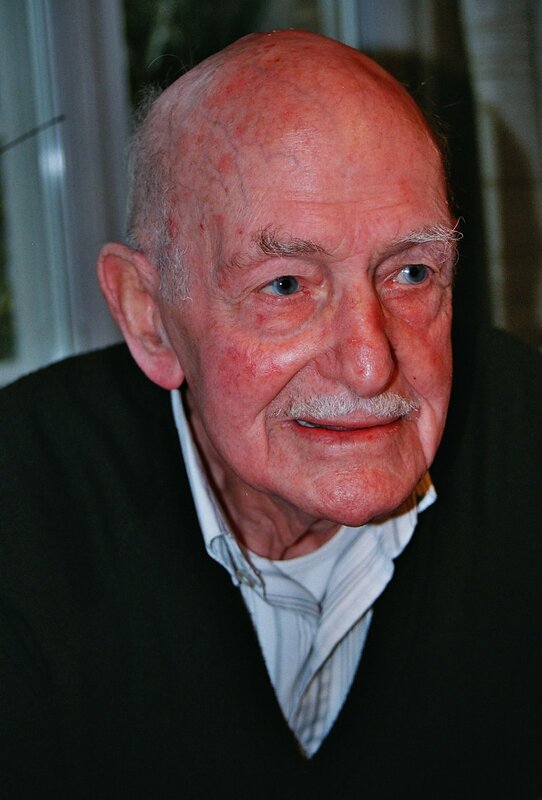 I knew Bob for a short time before he died last week, aged 92. We worked together on a book. 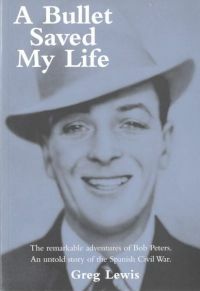 Its title, ‘A Bullet Saved My Life’, alluded to an incident in Spain when Bob was shot in the back: the wound took him away from a unit which went on to suffer terrible losses. But Bob was more than a war veteran. He was humble and kind. A gentleman. Hoping for better luck at supermarkets this year. Have avoided them so far. At the end of last year I’d found myself trying to enforce a personal boycott of the new self-serve checkouts. No way would I use one of them, I said to myself: somewhere along the line, they would mean the end of someone’s job. Then, I found myself standing in a long queue at Marks and Spencer with just a sandwich in my hand. The self-serve option beckoned and I took it. I was in a hurry, I told myself. But, walking off, I realized I’d failed myself. Somewhere I heard a computer click. Another shopper had chosen self-serve. Another nail knocked into the coffin of the poor old human alternative. Then, on a visit to Tesco, I went from breaking one of my rules to breaking one of their’s. Rushing again – honest – I turned a trolley of goods into the wrong checkout. And I had half unpacked before the checkout lady pointed skywards to a sign telling me I was in the Ten Items Or Less queue. The till worker took time to etch a look of contempt into the inside of my eyelids. I left wondering if those self-serve checkouts weren’t so bad after all. Finally, I returned to Marks. With a few snacks, I hit the queue. I hesitated, aware of what was coming next. “Yes,” I said. My fate was sealed. I was led to the self-serve. There was no way I was putting up a fight and blotting my copy book there as well. I tried not to sound pompous and undoubtedly failed. “Good point,” she replied, but was still smiling professionally as I guided the barcode of my BLT across the little screen.